contributions made around the world. It wasn’t long before the collection grew and the small space became insufficient. A larger facility was required to show comprehensive exhibits illustrating Canadian military aviation history and to properly preserve the artefacts accumulated during the first five years. Thoughts of relocating the Museum began in the early 1990s, and eventually a new location was selected – 220 RCAF Road – the address of the former Base curling club. An opening ceremony took place on the 1st of April 1994 to mark the occasion. With over 12,000 sq. ft. of space, the Museum installed more exhibits, created a storage area, set up a gift shop and expanded to include an outdoor facility. Adjacent to the South side of the building is the RCAF Memorial Air Park, presently home to 24 aircraft. It would also prove to be the ideal location of a newly conceived fundraising activity called the AD ASTRA Stone Program. In addition, various monuments have been erected by a wide variety of individual and groups, highlighting both named units as well as military occupations. 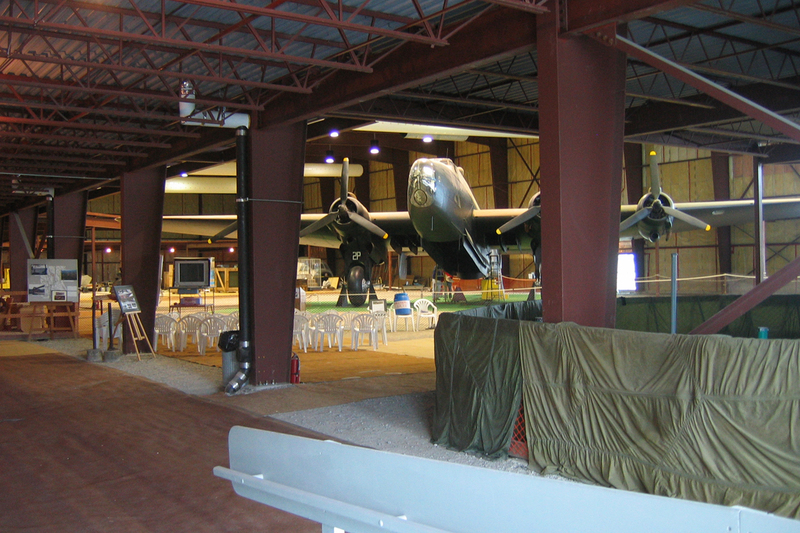 Shortly after its relocation, the Museum caught the attention of the Halifax Aircraft Association, a Toronto-based group of veterans. With the intention of commemorating those who lost their lives while serving with RAF Bomber Command, this group undertook the huge task of retrieving and restoring one of the iconic bombers of the Second World War: the Handley Page Halifax. In service with Britain’s No. 644 Sqn., NA337 was shot down over a Norwegian lake in 1945. It was located with sonar detectors in 1981, carefully raised from the lake in 1995 and brought to Canada in 1996. An extensive project was about to begin which required above all, an adequate facility for restoration. 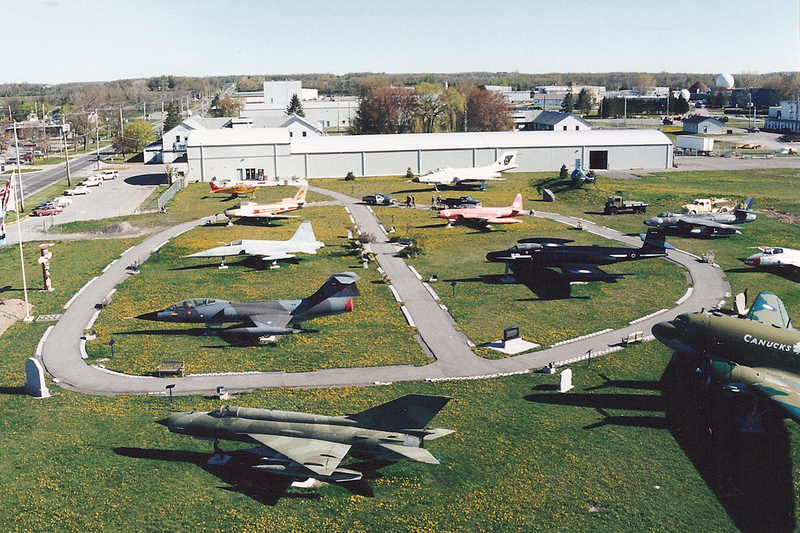 When the RCAF Memorial Museum was chosen as the appropriate location for both the restoration and eventual display of the aircraft, further expansion the facility became necessary. 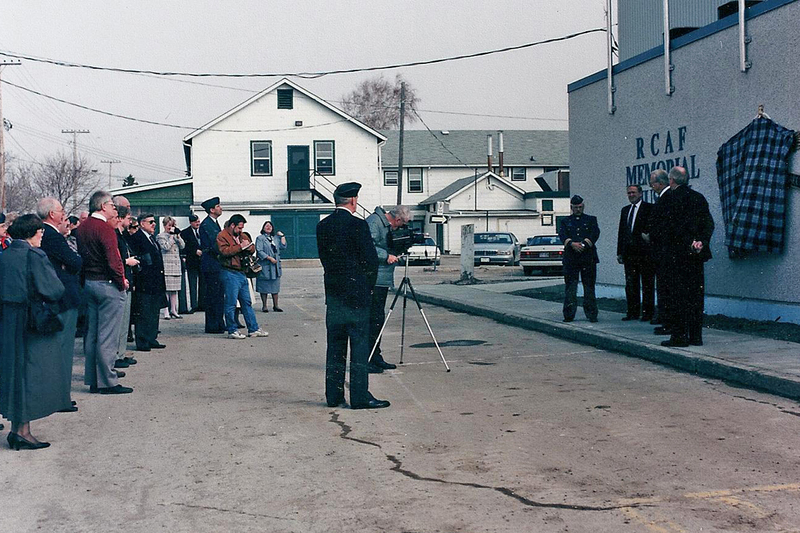 In 1996 a restoration workshop was added on the North-eastern side of the old curling club. As the restoration of the Halifax progressed, it became apparent that even more room was needed to continue the project and a multi-phase expansion plan was created and put into action. 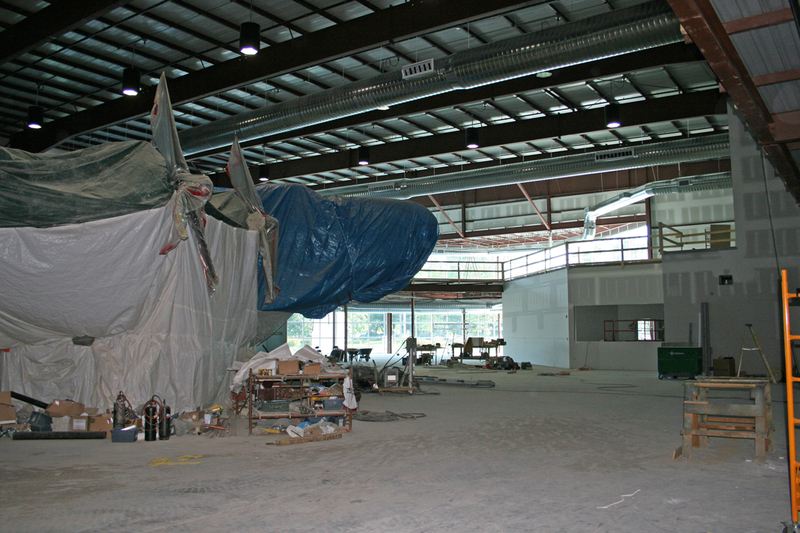 Summer 2004 saw the Museum began its first phase of the new construction project, building the current Main Exhibition Hall (MEH). The Halifax was moved into its final position early in 2005 and over the next few months restoration was complete in place. 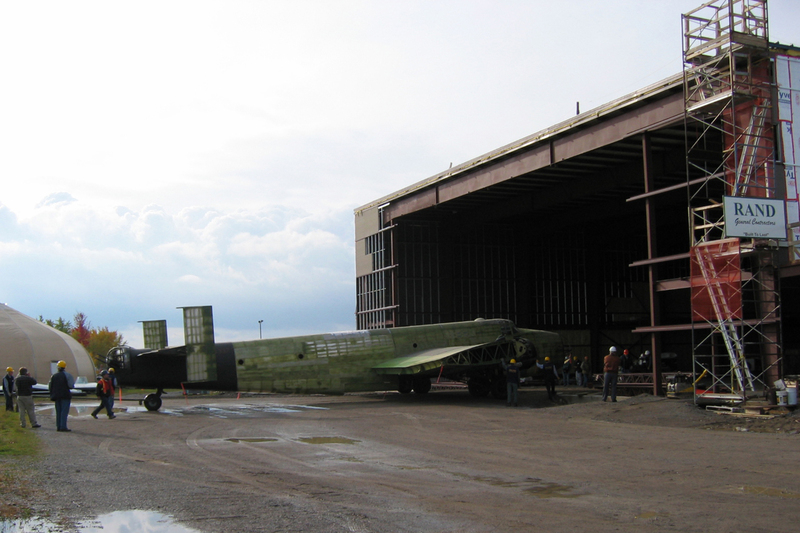 Finally, 10 years after being lifted from Lake Mjosa in Norway, on Nov 5, 2005, Halifax NA337 was unveiled before a standing room crowd in the newly completed MEH. 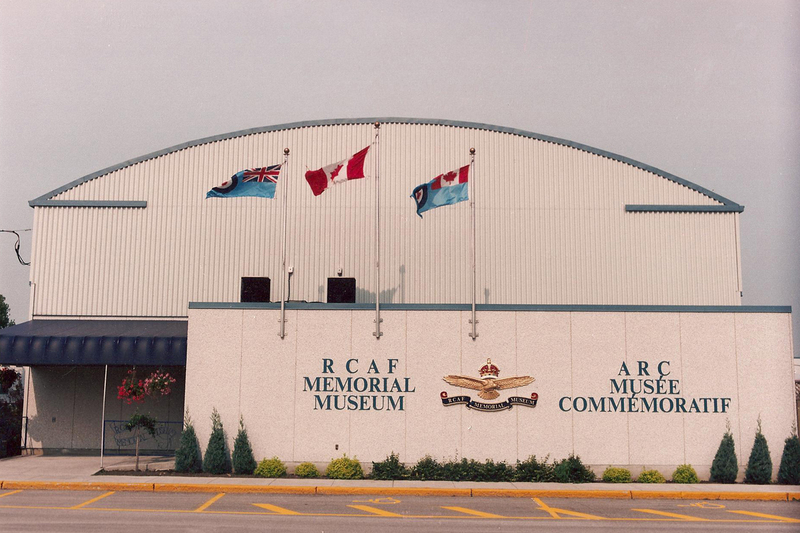 Back in1998, the Chief of the Air Staff officially declared the RCAF Memorial Museum as the Air Force National Museum. 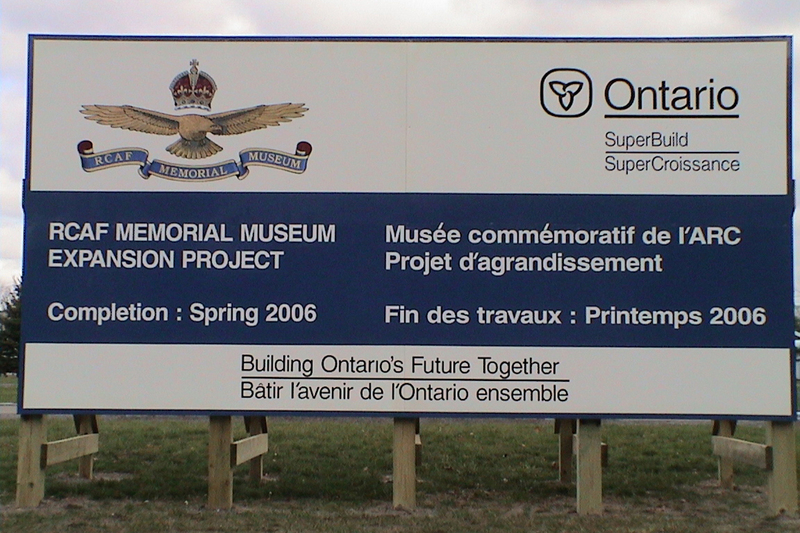 In 2007 it was concluded that the original name of the Museum did not adequately or fairly represent the thousands of air men and women who had never served as RCAF personnel. Thus, on 1 April 2008 the Museum formally adopted the new name of The National Air Force Museum of Canada. By 2009 the second phase of the MEH, including concrete floors, finished walls, electrical and HVAC systems were completed. The third phase of the project was completed in 2010 with the addition of new washroom facilities, and a new foyer that would eventually become the main entrance of the Museum. 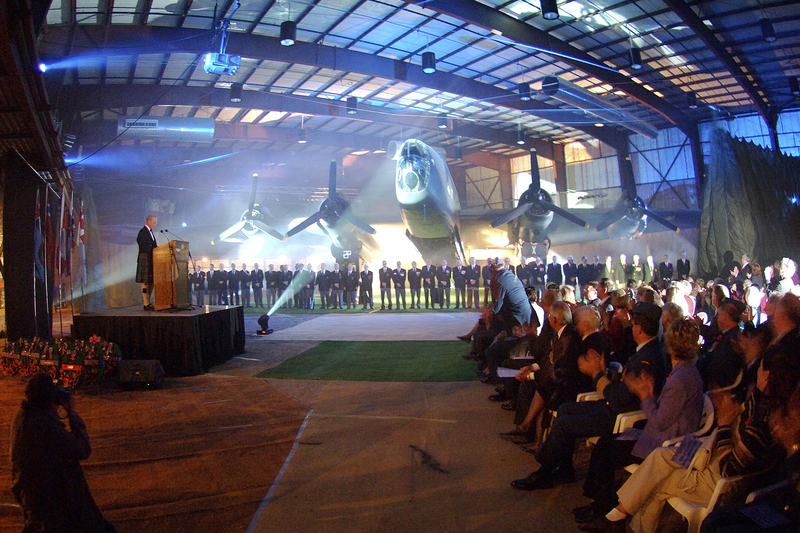 The final phase of the MEH’s interior construction was completed in April 2013 allowing for an even greater capability to display the long and proud history of Canada’s Air Force. Early in 2015, the Museum began the careful process of moving exhibits from the gallery into the Main Exhibition Hall. The original curling club was redesigned and configured to provide expanded retail space, a future theatre, and collection storage. Through the fall/winter of 2015 the old space underwent extensive construction and is now home of the new gift shop (SKY Boutique) and much needed collection storage. 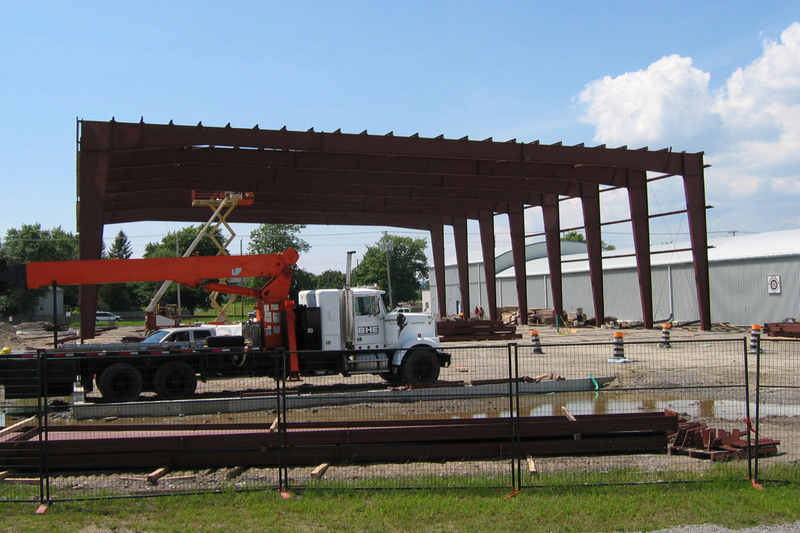 The theatre space has been reserved and will be completed when its capital campaign reaches its goal. 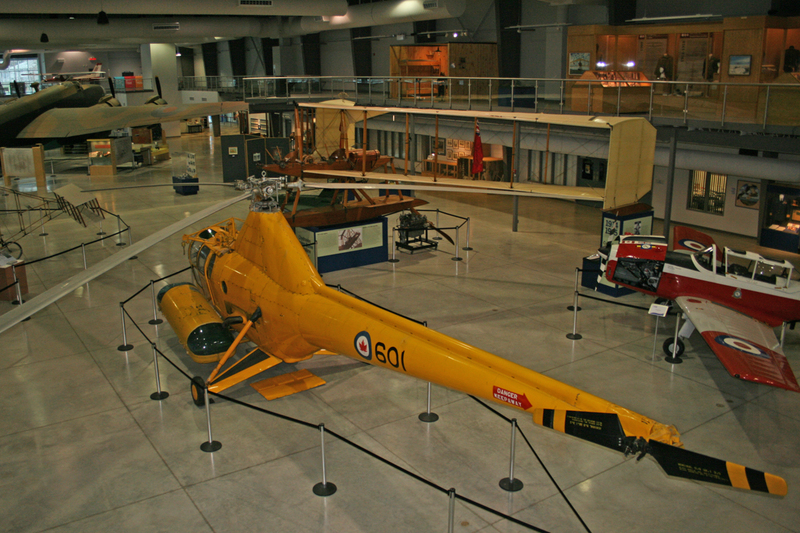 The NAFMC is the largest Air Force Museum in Canada, with yearly attendance surpassing 50,000 visitors. Our fleet of 38 aircraft (with 2 more expected imminently) is larger than any squadron’s in today’s RCAF. Over 50,000 artefacts are preserved in the collection, which continues to grow with 95-120 donor lots accepted each year. Donor lots can consist of anything from a single cap badge to multiple boxes of personal effects. The Museum archive is currently the fastest growing section of the collection. We fill approximately 15 new document boxes per year with photos, letters, certificates, forms and paperwork of historic relevance. The archive is also home to our collections of artwork, logbooks, scrapbooks, photo albums, maps, manuals, periodicals and books. The National Air Force Museum of Canada (NAFMC) is proud to honour the heritage of the Royal Canadian Air Force and endeavours to continue our commitment to tell the story of Canada’s Air Force. From its beginnings with the Canadian Aviation Corps (1914 – 1915), through the Canadian Air Force (1920 – 1924), the RCAF (1924 – 1968), Air Command (since 1975) and finally the rebirth of the RCAF in 2011. At the time of its establishment in the early 1980s, the committee working to open an Air Force Museum probably never envisioned what the National Air Force Museum of Canada would become. From a humble beginning in a small space on the south side of 8 Wing Trenton to today’s beautiful 57,000 square feet of concrete, steel and glass – the Museum has evolved and grown into a world class facility. Throughout everything, its mission has remained clear and strong. Protect and tell Canada’s air force story.